Across the world, fans are still in mourning following the unexpected passing of comic book mastermind Stan Lee. Because his presence was always a bright spot in every Marvel film, people were always anticipating the trademark cameo from Lee, wondering where he'd pop up next. It's going to make his passing sting that much more when Marvel films start coming out without the usual appearance from Lee. Still, fans are speculating different ways to keep the Lee cameos going in some way or another, and one intriguing idea is rapidly rising in popularity. 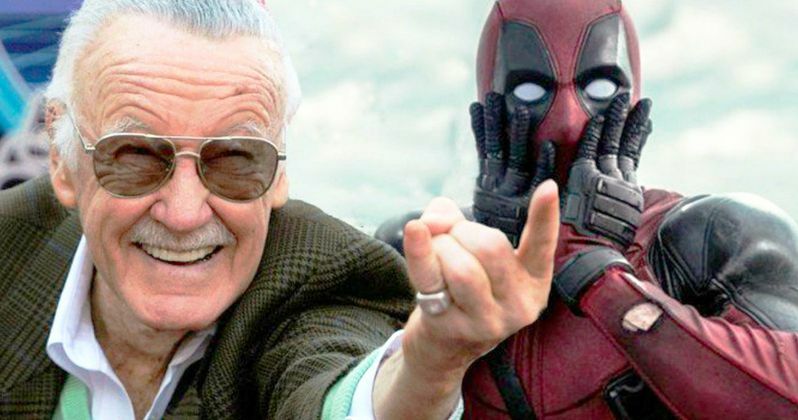 Specifically, many Marvel fans are calling for Deadpool to fill in for Stan Lee from now on, offering his own cameo appearances in ways that would make Lee proud. Deadpool's meta humor plays a major factor into this concept being plausible. Some have suggested that Deadpool could even wear aviators and a fake mustache as a clear nod to Lee. Additionally, the looming Disney/Fox merger will only make it that much easier to finally bring Deadpool into the MCU. Of course, this isn't to say the idea is being well-received by everyone who hears it. Others aren't very keen on anybody taking the reins from Stan Lee for the trademark cameo, much less a character Lee wasn't specifically involved with the creation of. In any case, we still haven't seen the last of Stan Lee's cameos just yet. Prior to his passing, the Marvel legend had already filmed his special appearance for next year's Avengers 4. Because his cameo scenes were typically filmed back-to-back, it's likely we'll see Lee appear in other upcoming MCU films as well, such as Captain Marvel and Spider-Man: Far From Home. There will always be other ways to keep working Lee into these films as well, even if it's just in the form of a portrait in the background. Whether we see any specific Easter eggs or not, however, Lee's presence will always be felt in these movies as such an important part of their history. As for Deadpool, we'll see him back on the big screen soon enough. Next month, a PG-13 version of Deadpool 2 will be hitting theaters. Called Once Upon a Deadpool, the lighter version of the sequel will feature new scenes with Deadpool reading a story to actor Fred Savage, which will bookend the film. It's atypical for any R-rated movie to be be re-edited for a softer theatrical version, but after raking in over $734 million in worldwide ticket sales, Fox seems to think the sequel will do even better with a PG-13 rating. If nothing else, it will make for an interesting experiment to see which version of Deadpool 2 fares better at the box office. Lee will next have a big screen cameo in the animated sequel Ralph Breaks the Internet, which premieres in theaters on Nov. 21. You can also catch him in theaters next month when Spider-Man: Into the Spider-Verse released on Dec. 14. If you're catching Once Upon a Deadpool on Dec. 12, you'll also have another chance to catch an Easter egg referencing Lee, in the form of his face appearing in graffiti. Lee may have left us, but there's no question his legacy lives on, as it will forever. This information comes to us from FandomWire.